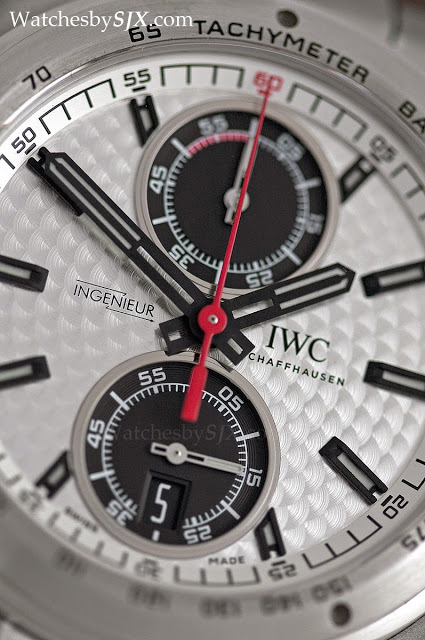 The IWC Ingenieur Chronograph Silberpfeil is a tribute to the Mercedes-Benz W25 Silberpfeil, which won several European Grand Prix championships in the mid thirties. 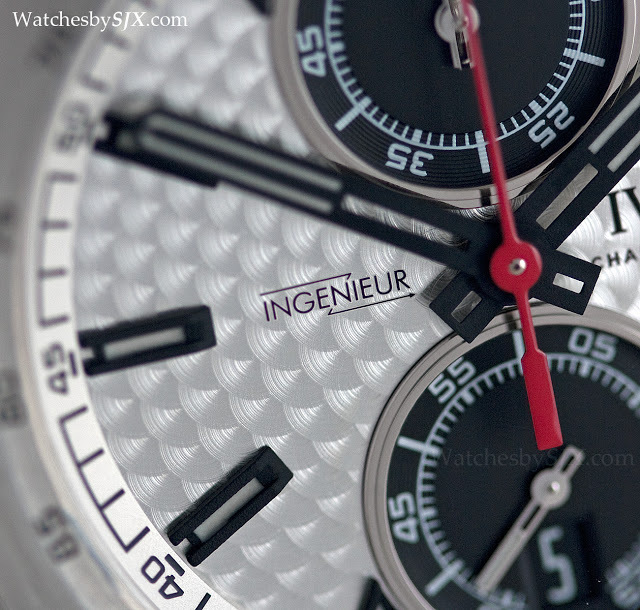 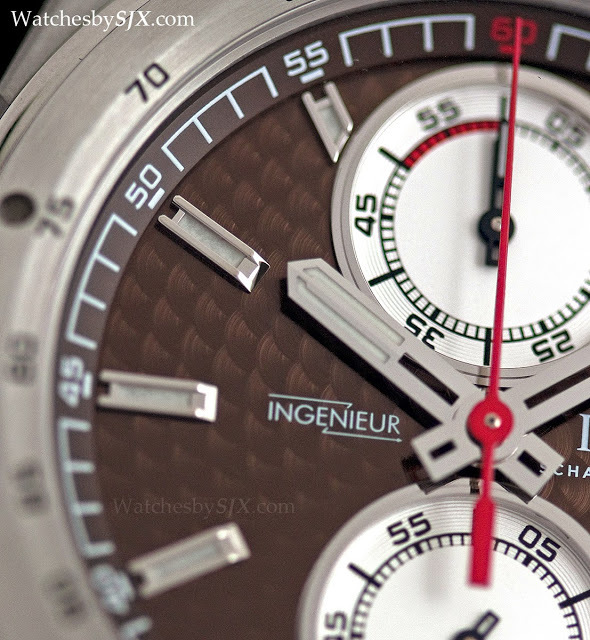 Amongst the many Ingenieurs unveiled at SIHH 2013, the Ingenieur Chronograph Silberpfeil (“silver arrow”), stood out. 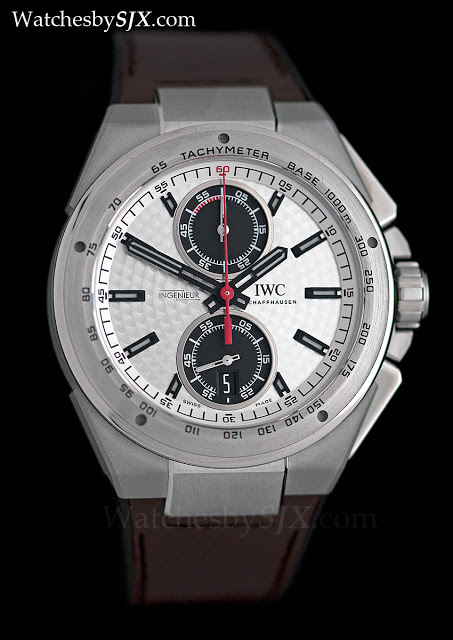 Not for anything else but its aesthetics, especially the version with the silver dial. 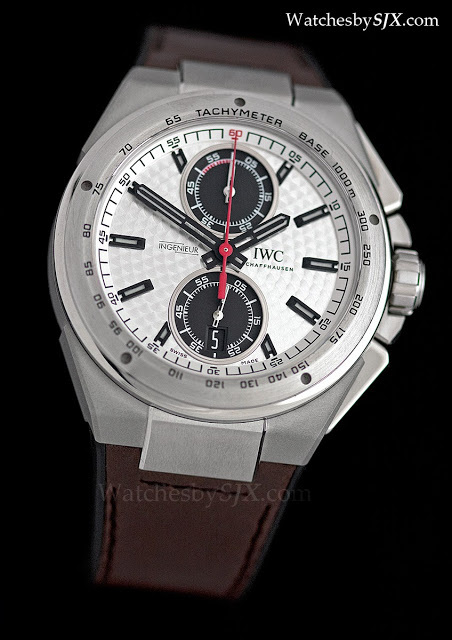 It is a big, chunky and good looking watch. 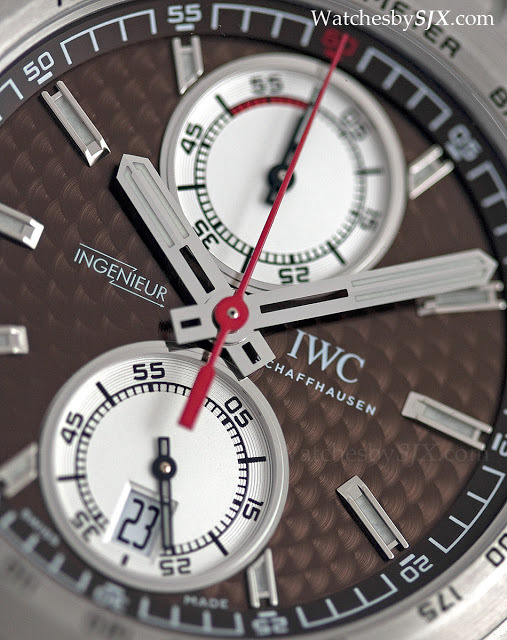 The dial on both versions – it is available in silver as well as brown – is finished with circular graining, or perlage. 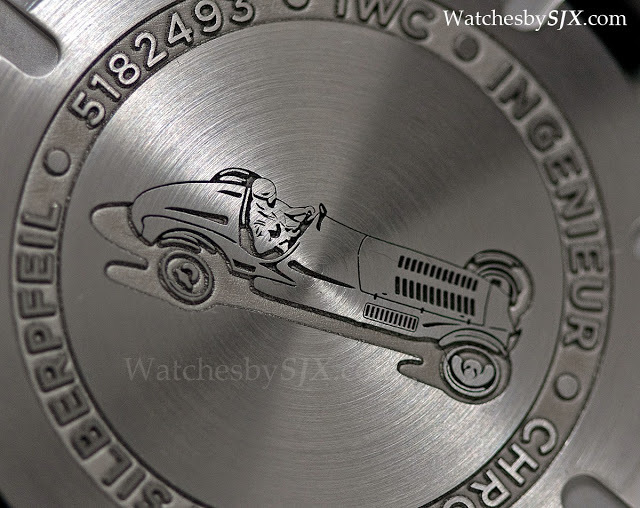 This is inspired by the circular grained, aluminium dashboard of the Mercedes-Benz W25, one of the championship-winning Mercedes race cars of the thirties known as the Silberpfeil. 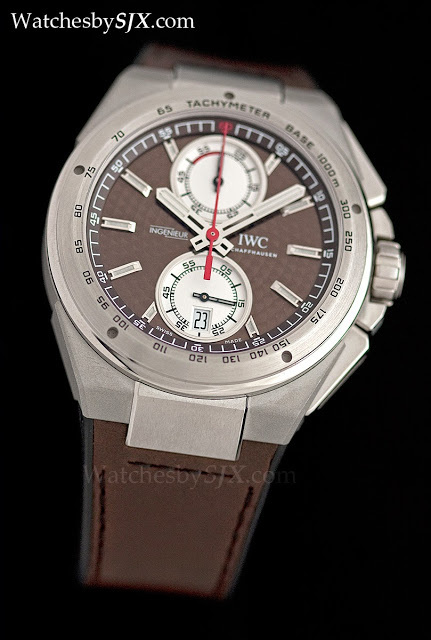 On the brown dial the perlage is lost because of the dial colour, while on the silver dial it sparkles. 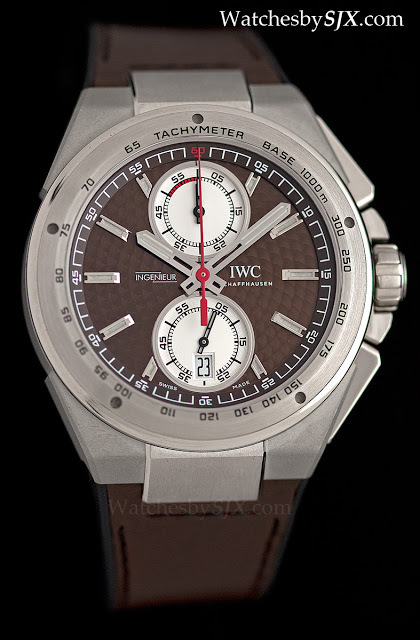 And of course the original W25 dashboard would have been silver-toned as well. 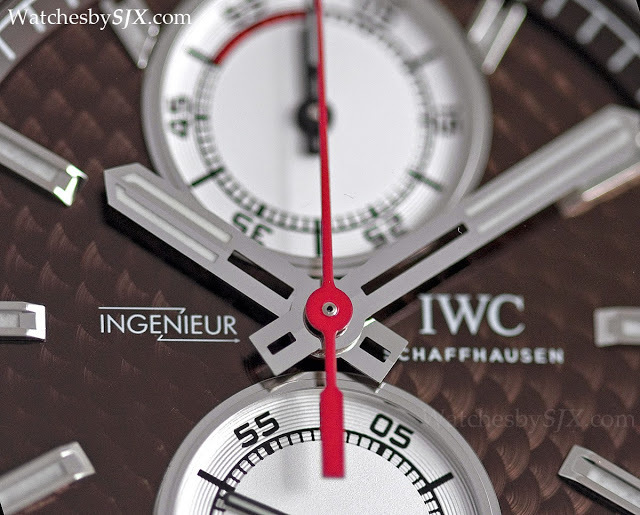 The 45 mm case is in brushed steel, with solid construction and a good finish that is characteristic of IWC. 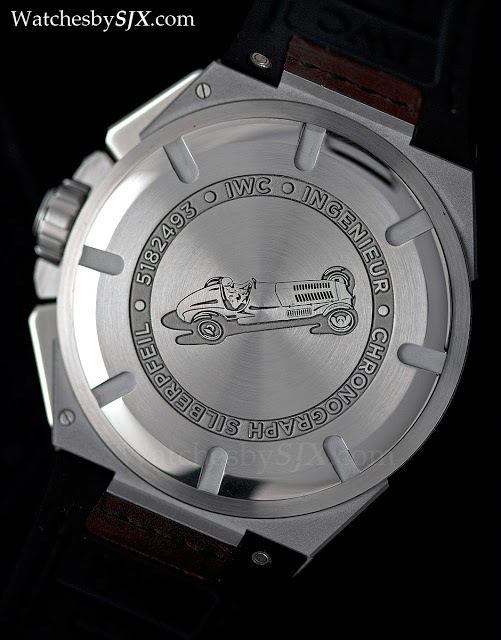 If there is one weakness with the case, it is the embossed – instead of engraved – text and W25 race car on the case back. 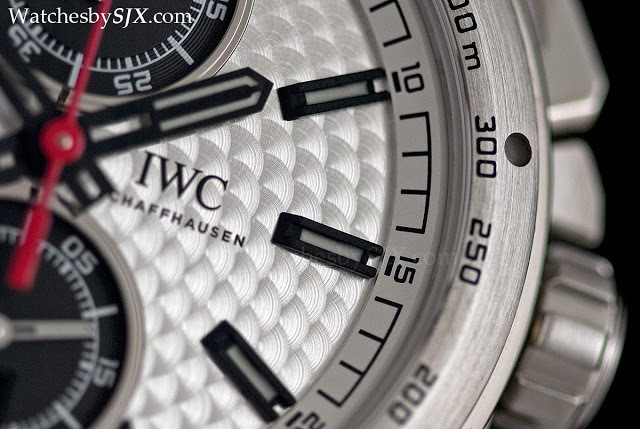 Being embossed, the edges and shape of the text and motif are poorly defined and unappealing up close. 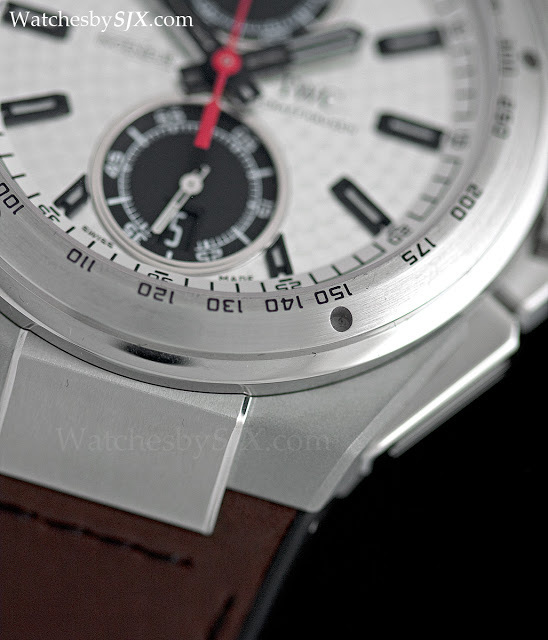 High quality case back engraving used to be standard at IWC, so this is a surprising and disappointing turn of events.